BRITISH LABOUR LEADER Jeremy Corbyn has called for general election to be held in order to “break the deadlock” around Brexit. His comments come ahead of next week’s crucial House of Commons vote on the draft Withdrawal Agreement struck between Theresa May’s government and the European Union. May faces an uphill battle to get the deal passed, with significant opposition from across the political spectrum. Last month she postponed a vote on the agreement so she could seek additional assurances on its backstop element. Preparations are being made at British, Irish and European level for a no-deal Brexit, in case an agreement is not reached ahead of the official withdrawal date of 29 March. 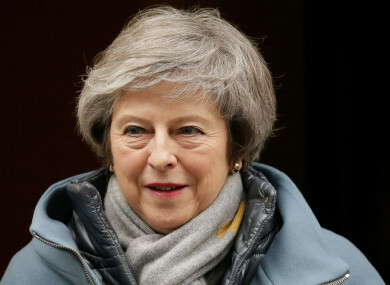 Poll: Do you think MPs will back Theresa May’s Brexit deal? Email “Poll: Do you think MPs will back Theresa May's Brexit deal? ”. Feedback on “Poll: Do you think MPs will back Theresa May's Brexit deal? ”.